A few quick-takes while reading college sports media across the country. Not a big fan of teams ‘suffering losses’ regardless if defeat is by 1 point or 49 points, unless players got hurt during the game. 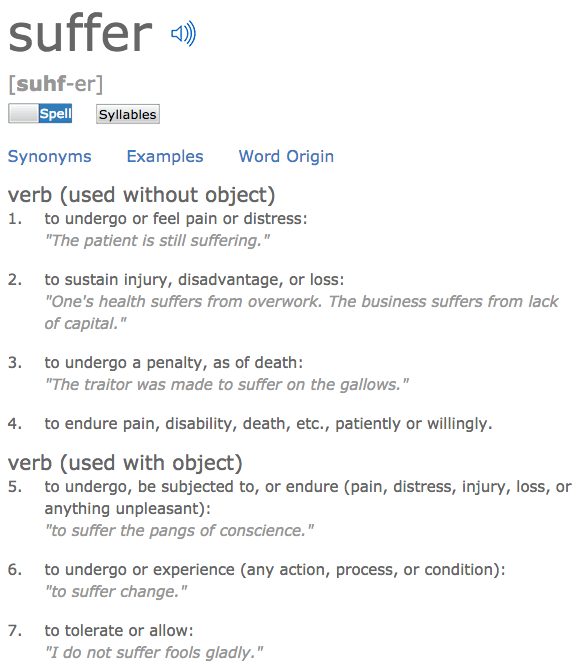 You can see the definitions of suffer in the picture to the right that includes the following descriptions: “to feel pain or distress” and to be subjected to “anything unpleasant,””and to “experience.” But these definitions are really indicating real physical and mental pain. If a team is truly suffering, then use this word – but then you must also investigate and offer that story line. Don’t use ‘suffering’ blithely or the word will lose its meaning and become yet another meaningless sports cliche. Don’t write that a team shot 28 percent from the floor. Where else would they be shooting from? Just write: Shot 28 percent. If you want to address 3-point shooting, you can write something like: converted (or made) 38 percent of 3-pointers. Delete cliches like the (zombie) plague. Take this lede for instance: “Junior guard Malcolm Brogdon was taking names at the Nike Peach Jam in North Augusta, South Carolina back in the summer of 2010, when Virginia men’s basketball coach Tony Bennett watched the well-spoken Atlantan hoop for the first time. Bennett could already see what made Brogdon so good on the court — and since then, he has also come to know Georgia’s 2010-11 Mr. Basketball as a person.” This story, ultimately, is both interesting and informative, but, had I not used this story as an example, I would have stopped reading because cliched writing usually indicates equally lackluster content. In this case, fortunately, the writer immediately veered from worn, hackneyed phrases. Many potential future employers will also cease reading when cliches rear their ugly head. So seek to replace jargon and cliches unless you are using these words and phrases in a creative manner. Nice second-day story on Kentucky’s 1-point loss in women’s basketball that includes some good stat analysis, offered interesting story player insights and a clear storyline. A nice short take. 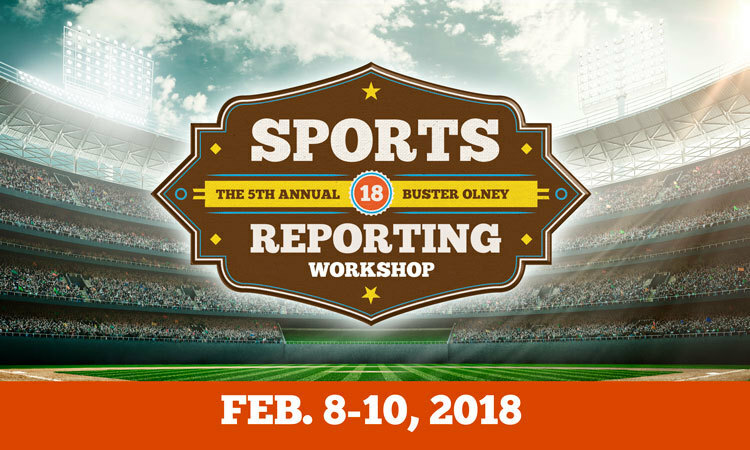 This entry was posted in College Media, Sports Language and tagged college sports media, sports journalism, sports journalism education, sports writing. Bookmark the permalink.